Robert J. McCann is chairman of UBS Americas. In this role, Mr. McCann works with the firm’s leaders across the Americas region to shape and advance UBS’s strategy, partnerships and business development efforts. Previously, he served as president of UBS Americas and president of UBS Wealth Management Americas, and a member of UBS’s group executive board from 2009 to 2015. 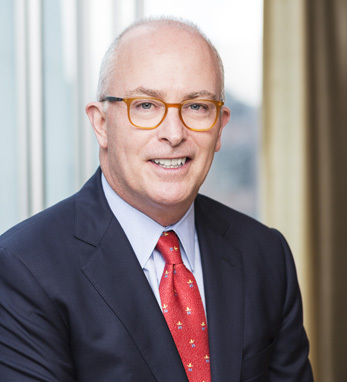 Prior to joining UBS, Mr. McCann had a 26-year career at Merrill Lynch during which he held a variety of executive leadership positions. Mr. McCann serves on the board of directors of the American Ireland Fund, the Irish Arts Center, and is vice chairman of the board of trustees of Bethany College. A third-generation Irish American with roots in County Armagh, Mr. McCann received his B.A. in economics from Bethany College and his M.B.A. from Texas Christian University. He is a dual citizen of the United States and Ireland.